Eye-catching slightly purlish Red color, medium tone and strong saturation!!! 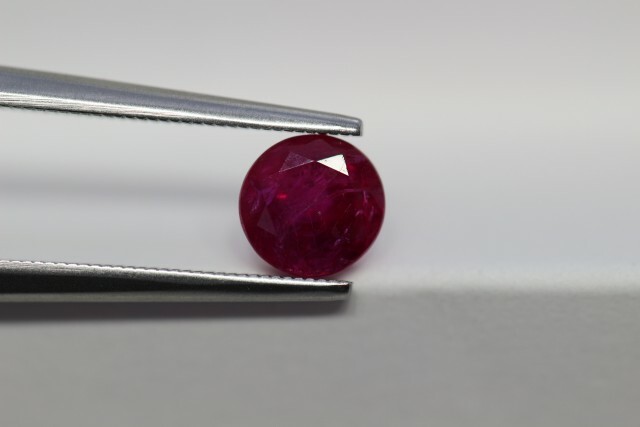 Ruby is the red variety of corundum with hardness of 9 on Moh’s scale. Among the natural gems only moissanite and diamond are harder. 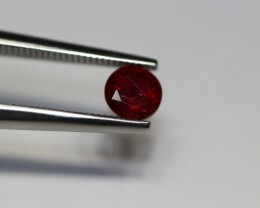 The red color of ruby is caused mainly by the presence of the element chromium, which is also the cause of fluorescence in ruby, intensifying the body color. 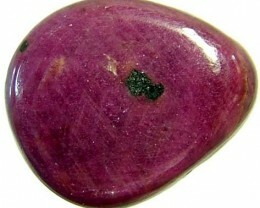 The very best color in ruby is sometimes described as “pigeon’s blood”. Its name comes from ruber, Latin for red. 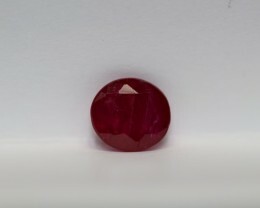 In the ancient language of Sanskirt, ruby is called ratnaraj, or “ king of precious stones”. For many cultures, rubies signify romance, wealth and success. Ruby is the traditional birthstone for July. Ruby is one of the most historically significant colored stones and is considered as one of the finest stones for jewelry settings. 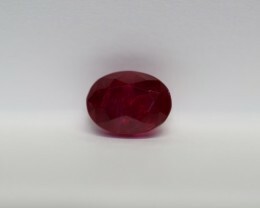 Ruby may be available in various shades of red such as pure red, or additional orange to purple modifying colors to the red. 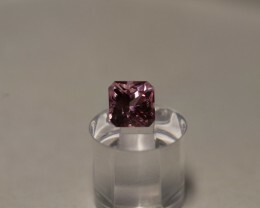 The most valuable ruby colors are red to slightly purplish red with medium to medium-dark tons and vivid saturations. Burmese Ruby is the most famous and sought after around the earth, but fine-looking crystals have been originated elsewhere. Some of them were mines in places such as Afghanistan and Vietnam. 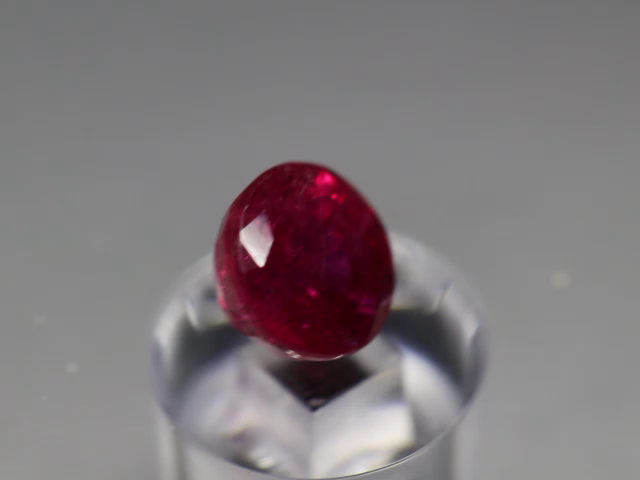 These fine rubies form in marble hosted rocks and fluoresce under ultra violet light. 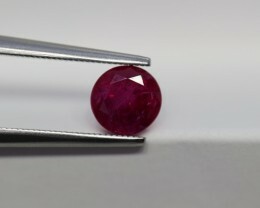 Rubies are expected to have at least some inclusions. These inclusions are rutile needles (silk), included crystals; fingerprint inclusions and etc. 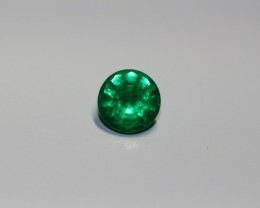 some inclusions actually contribute positively to a gem’s appearance. For example the presence of rutile silk causes light to scatter across facets that might otherwise be too dark, adding softness to the color and spreading the color more evenly throughout the stone. 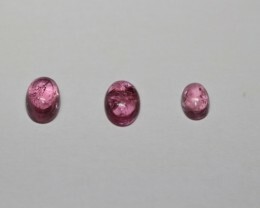 Some Afghan rubies display these characteristics the same as rubies from Myanmar. Inclusion free rubies are almost none existent. 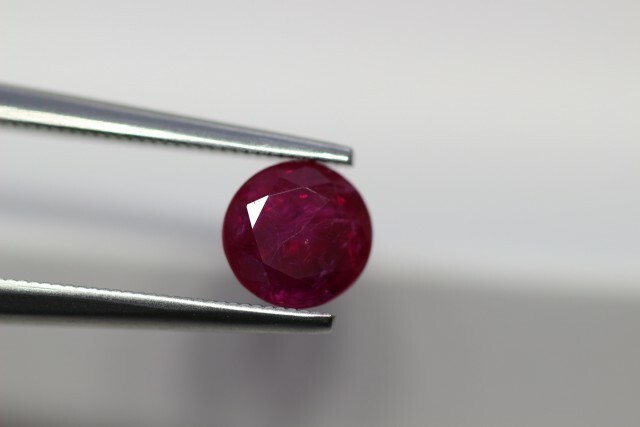 Today almost all rubies are heat-treated and untreated rubies command a higher price in the trade. 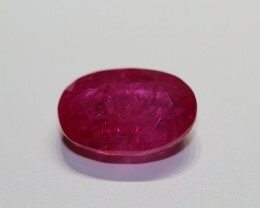 Heat-treatment is most common treatment for ruby and it is used to improve color and clarity. However other treatments exist such as: fracture filling, cavity filling, quench crackling, dying and lattice diffusion. 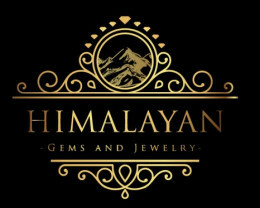 At Himalayan Gems and Jewelry most of our stock is untreated ruby sourced from Jagdelak mine high up in the Himalayas, in Afghanistan. 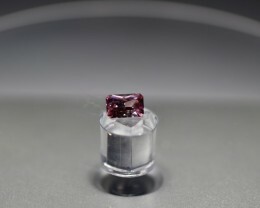 The ruby deposits of Afghanistan have been famous for centuries, and Jagdelak is the most important deposit of the country. Jagdelak rubies are historically important and rubies form this mine are scarce, but they can exhibit the coveted “pigeon’s blood” color. 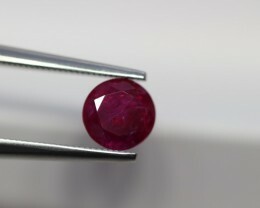 We also offer some heat-treated rubies and the treatment is always disclosed.